Liturgical Ministries are a vital part of our community. Please contact our Ministry Coordinator, Karen Glen, who can discuss your questions, and/or sign-you up to serve as a minister at St. Augustine’s. You can read Karen’s most current message on the Ministries page of this website. To hear from some of our current liturgical ministers, visit this page. The church is in need of linen servers, who would wash and iron the Corporals and Purificators for one month at a time, three times per year. Please contact Linda at the Rectory Office at (510) 653-8631 if you are interested. Altar Care ministers prepare linens used during Liturgy. After Mass, ministers take linens home to wash and press, returning them the next Sunday. Time Commitment: The time it takes to do less than a load of laundry and about thirty minutes to iron once per month. Contact Diane Norwood via the Parish Office at (510) 653-8631. Altar servers are parishioners who assist presiders during liturgy. Children, 4th grade and older, and all adults who have received Baptism, Eucharist, and Confirmation may serve in this ministry. Servers attend one training day per year and learn by serving with experienced servers until they are confident in their abilities. Time Commitment: All liturgies need a server. You can serve one mass a month or be a designated person for a specific mass, request specific liturgies or be available to serve where they are needed. The Liturgical Art and Environment team is responsible for designing worship environments for liturgical seasons and feasts. Those with an eye for design or just a desire to help create a beautiful worship environment can contribute. Preparation or set-up usually occurs on the eve of a feast or on a weekday before a liturgical season begins. Time Commitment: Seasonal, as needed. Contact Maureen Wikander via the Parish Office at (510) 653-8631 to R.S.V.P. or for more information. 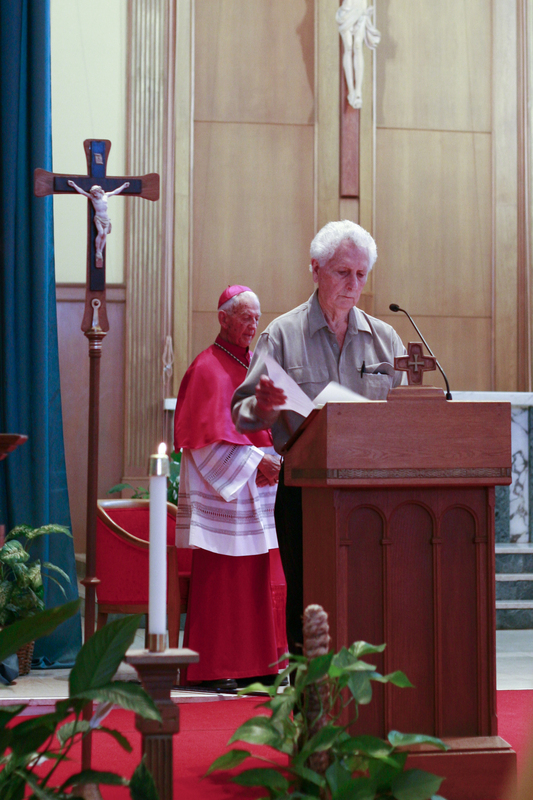 Trained ministers bring the Holy Eucharist to parishioners unable to attend Mass, such as to those in the hospital, board-and-care homes, convalescent homes, and to those who cannot leave their homes. For more information, call the Parish Office at (510) 653-8631. Time commitment: As requested by parishioners and members of the wider community. Extraordinary Ministers of the Eucharist distribute Eucharist during the Mass. They prepare the cups and plates and set out bread and wine for the presentation of gifts. Schedules are provided for head ministers. Medallions, found on the credence table in the back of the church are picked up by the minster when he/she arrives for Mass. Head ministers find substitutes when they cannot serve. Time commitment: Liturgies are assigned or requested. Greeters and ushers are our chief (but not only) ministers of hospitality at liturgy. They greet everyone and distribute worship aids, choose people to present gifts and instruct anyone new to these liturgical roles. When liturgy is over, they log and deposit the collection, distribute bulletins and collect worship aids. Ushers not assigned to a given mass should make themselves available to serve if there is a shortage of Ushers for a given mass. Even when they are not assigned, Greeters reach out to anyone standing alone after Mass to let them know that their presence is appreciated. Ministers choose the liturgy at which they serve, receive monthly schedules and find substitutes if needed. Time Commitment: Arrive 15 minutes before liturgy and stay at least 15 minutes after liturgy. Refreshments, offered after Mass, provide an easy way to meet parishioners and talk with friends. Ministers ensure that store-bought or home-baked goods, fruit or other snacks and drinks provide a reason to stay and socialize. This effort builds a strong community where members know each other by name, and newcomers can easily meet new friends. Ministers set the table, bring food and drinks, stand by the table, serve and clean up. 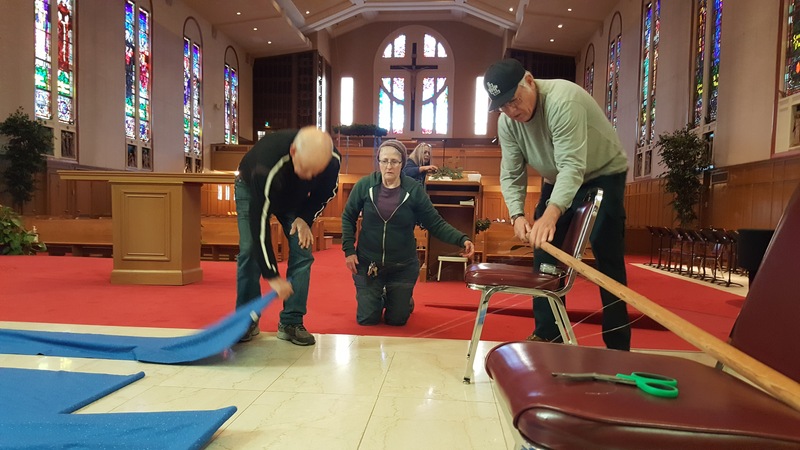 Time Commitment: Set up, serving and clean up requires 20-30 minutes before and after Mass. Ministers pick up donated food from Safeway on Sunday mornings at 7:30 a.m.. Contact: Steven Miller. Lectors, or Ministers of the Word, proclaim the Word of God by reading from Scripture during worship. Lectors make God’s words come alive by reflecting on the readings ahead of time and reviewing the Lector’s Workbook provided. Training is offered two times per year or as needed. Ministers choose the Liturgy at which they serve. Schedules are provided. Time Commitment: Preparation and practice before and proclamation at Mass, approximately once every 4-6 weeks. Contact John Belanger. The Liturgy Committee supports the pastor to ensure the prayerful quality of worship for all seasons. Their work influences homilies and music, and is seen visibly in the church environment. Members are in touch with parishioners, their ministries and lives, and work to reflect the life experiences and cultures of our diverse membership in our worship. The team is composed of staff, parishioners and pastor. Training provided. Sacristans are parishioners who assist with setting up for liturgy and putting items away afterward. 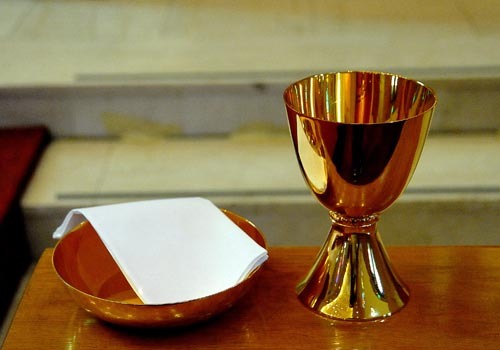 All adults who have received Baptism, Confirmation and Eucharist may serve in this ministry. Sacristans attend one training day per year and learn by serving with experienced sacristans until they are confident in their abilities. Time Commitment: Sacristans are needed for all liturgies. 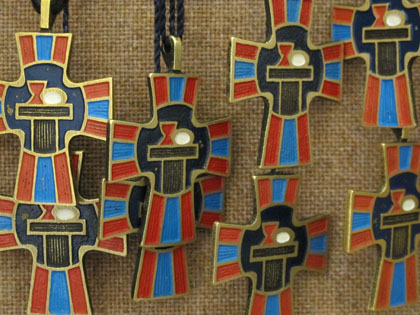 They may request specific liturgies, or be available to serve where they are needed. For information about any of the music ministries described below, please contact April McNeely, our Director of Music Ministries, or by phone at (510) 504-4784. Cantors animate, assist, and support the liturgical assembly in full, active and conscious participation through sung prayer. Cantors proclaim the sung responsorial psalm. This ministry requires ability to sight-read music. A solo quality voice is desirable but not mandatory. Time Commitment: 30 minutes of rehearsal before the liturgy during which the cantor sings, plus time to learn required music. 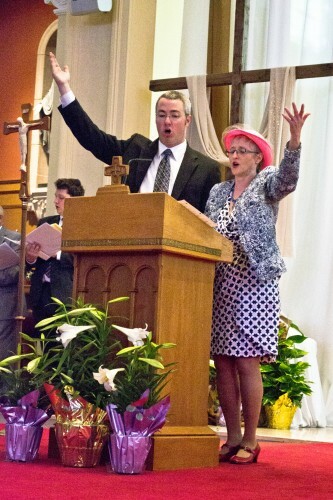 The principal ministers of music at Mass are the people in the pews, the assembly. The primary role of a choir is to support and encourage them in their full, active, and conscious participation in mass through sung prayer. The choir also provides great music of the past and present to lift our spirits and to make our worship powerful. Our largest choir ministers at the Sunday, 10:30 a.m. Liturgy, but smaller choirs or Cantors lead worship at Saturday vigil (5:00 p.m.), Sunday 8:00 a.m, and 6:00 p.m., as well. The music at the 6:00 p.m. Mass is contemporary. While singing experience and sight-reading skills are helpful, they are not necessary. Time Commitment: Wednesday rehearsals 7:00-8:30 p.m., and 60 minutes before the liturgy at which that choir ministers. If you play an instrument, you are invited to share your talent as a soloist or as an accompanist to the choir. Guitarists, percussionists, string and wind instrumentalists are welcome. Time Commitment: Rehearsals as arranged with director. The Scanlon concert is a yearly fundraiser, usually held in August on the feast of St. Augustine. Proceeds go to support the parish music program in honor of Mr. Michael Scanlon who was St. Augustine’s music director for many years. To make a tax-deductable contribution to the Scanlon Music Fund, please click here. Donate.